My fellow Brady Bunch fans will remember an episode where Peter's voice started changing and his siblings had to figure out whether they were going to keep him in their singing group or not. In the end they worked around his change... in fact they wrote a song about it. Like to hear it? Here it go! Actually one line sticks out to me today - "When it's time to change you've got to rearrange who you are into what you're gonna be." Those words apply to exactly where I am right now. I see my life headed in a direction that I'm not liking... I have so much I want (and need) to do and yet I waste so much time on things that don't matter; things that move me further from my goal as opposed to closer to it. I've finally had enough. I am officially on a mission to eliminate "time wasters" from my life and redeem the time I've been given; to invest in the things that move me closer to my goals In other words, I'm on a mission starting here and now. I won't go into specifics but I know the results will manifest and speak for themselves. I guess it just hit me today that this is the only go around I get in this life and I'm not here just to exist. I have a purpose and a destiny that I must fulfill - not only for my sake, but because there are people waiting for me on the other side of my obedience. I lost sight of that for a while, but I see it clearly now and I'm willing to do whatever it takes to move in that direction starting NOW. What about you? Has there been a prompting for you to change and rearrange some things in your life? 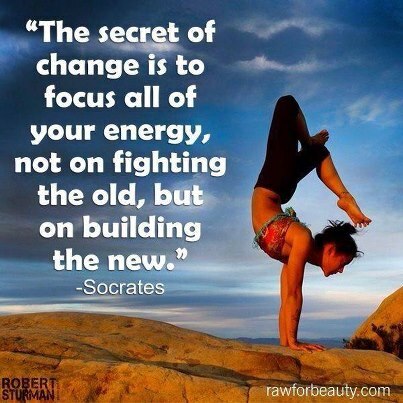 What holds you back from making those changes? Let's not be content to just exist. Let's find our purpose. Let's walk out our destiny. Let's live and share that life with others who so desperately need what we have!